Many Enterprises are evaluating, piloting or migrating to SD-WAN. As they navigate the market they are encountering a myriad of technology terms, options and choices. 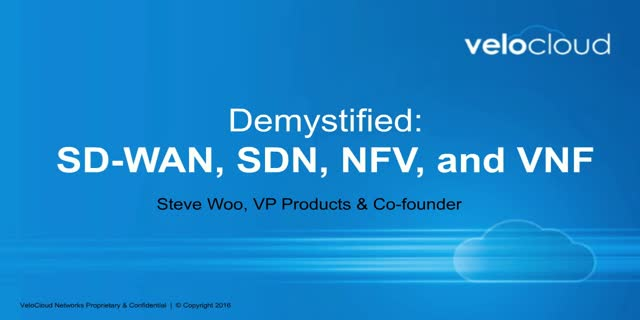 During research and solution evaluations, Software-Defined WAN (SD-WAN), Software-Defined Network (SDN), Network Function Virtualization (NFV) and Virtual Network Function (VNF) are concepts that come up frequently and often cause confusion. This webinar will demystify these concepts, give you a detailed explanation of each and clarify the differences. Most importantly, you will learn which of these technologies are the best fit for your Enterprise to build the most scalable, high-performing, and secure wide area network.